The CarrCom Blog: Nightmare - Filming Complete! I am posting this ridiculously early as I have just spent the past four hours cutting together the Nightmare scenes we shot yesterday. In total, 250 clips adding up to 47 minutes of footage was shot, making the final run time of every single clip filmed for Nightmare combined a whopping three hours. Filming for Nightmare began on September 15, 2012 and has now come to an end. The film has a duration of 60 minutes which is unlikely to change. All I need to do now is add more music, sound effects and just fine tune the overall product. It's been a hell of a lot of fun to put this together, and I hope people will love the result! 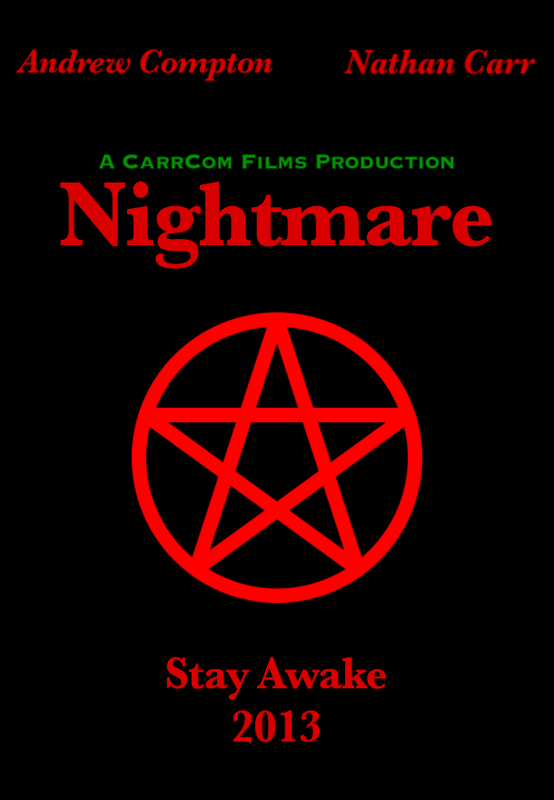 Nightmare is coming to the CarrCom Films channel on May 5, but will have a special premiere for my friends and family the day before. Just over a month to go, so stay tuned!